Peter planned out a great walking tour for us to further explore London the day Tyler and Ruth were finishing up their move to the new flat. 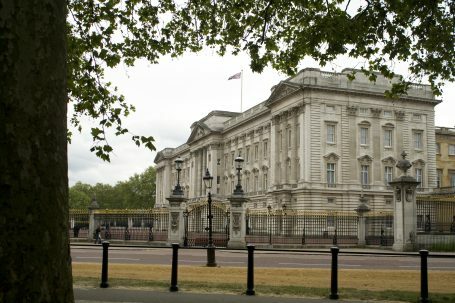 We started in Kensington Park and continued on to Hyde Park through Wellington Arch to Green Park, saw Buckingham Palace and strolled through St. James Park across Westminister Bridge on to the Tate Modern and then across the Millenium Bridge to peek at St. Paul’s. Whew. Needless to say, we were both tired after all that, but it was a very fun day and a great tour. 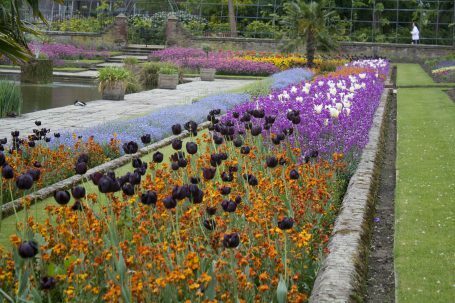 A flower garden in Kensington Park. I have never seen such dark tulips before. More amazing flowers in Green Park. Having fun with the fountain. Drink up Peter! 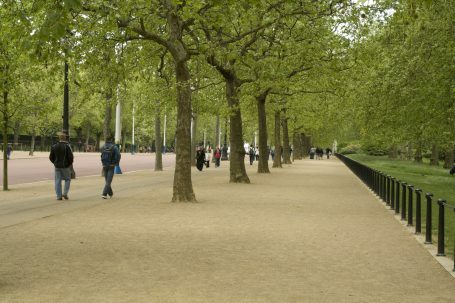 The Mall by Buckingham Palace. So green and tidy isn’t it? These flowers in St. James Park remind me of candy canes! We must have found the royal stables. I just don’t know how the soldiers can keep a straight face while tourists take pictures and gawk. I certainly couldn’t do it. Any finally after approximately 7 miles of walking, St. Paul’s Cathedral. Next we took our tired feet to the tube and back to the flat in West Hampstead. 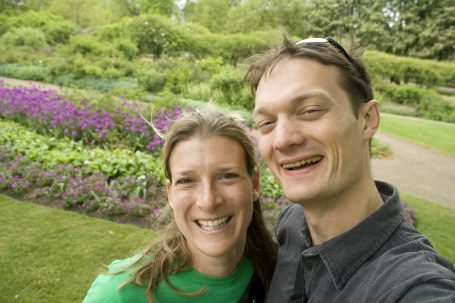 Our European tour started in London visiting our friends Tyler and Ruth. We took a boat ride down the Thames River to Greenwich on a spectacular Saturday with the Tates. 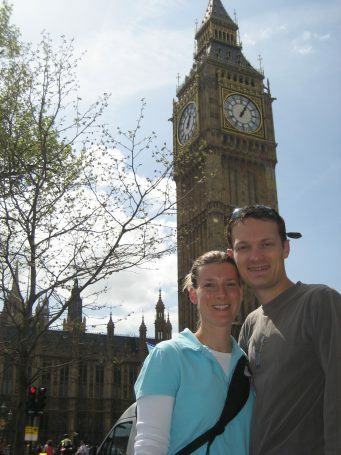 Of course we took a picture near Parliament and the Clock Tower housing Big Ben near the dock where we caught our boat tour. 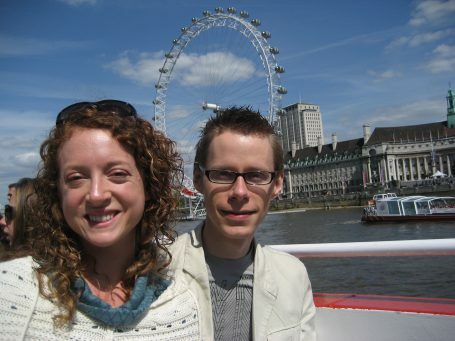 Ruth and Tyler on the boat tour with us and the London Eye in the background. Portion of the Tower of London and the “Gerkin” in the same shot. Just goes to show you London is both old and modern. 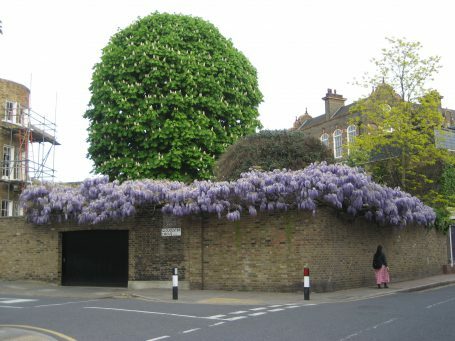 I thought of my sister-in-law, Annie, when I saw all the wisteria in Greenwich. Just beautiful! So our visit caught Tyler and Ruth in the middle of a move, which turned out to be a huge blessing since we didn’t have to invade their space for 4+ days. We took their old flat and they took their new flat. We did however help them move a shelf to their new place. What a scene seeing four people carrying a big old shelf down the street to the tube station where we were told we absolutely couldn’t take said shelf, so back onto the street to the bus stop and thankfully the bus driver let us all on, shelf and all! Fun times. If you ever find yourself in Germany and you are a bit hungry, be sure to check out an ice cafe and order a dessert. 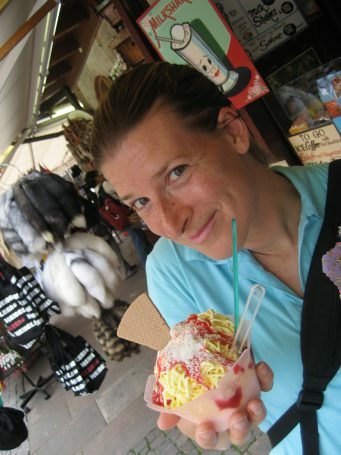 It will look amazing, like my spaghetti ice cream below. This is only one of the many wonderful looking and tasting sweets Peter and I indulged in during our time in Germany. Author peterPosted on 14.May.2009 Categories Europe, Trips2 Comments on Spaghetti?